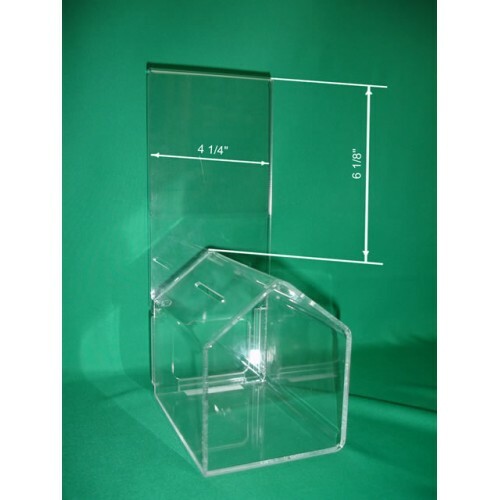 This Medium House Donation Box was modified from our regular Dog House Donation Box (DJ-200) so the 4" x 6" insert on the back Sigh Holder is completely visible. 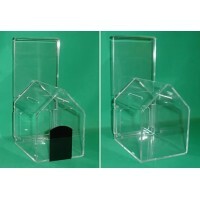 The "Medium House" Donation Box has a provision to use a small padlock or a small zip tie to secure collected items. 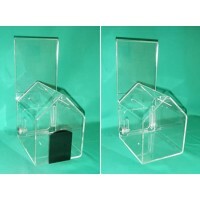 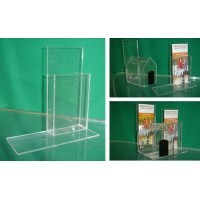 The back side of the "Medium House" Donation Box has a sign holder, for displaying a campaign message or other visuals.